Order Cakes and Catering online or call 02 4957 7188 for phone orders and enquiries. 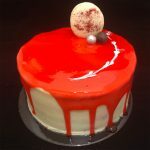 The Euro Patisserie are renowned for their beautiful and delicious range of cakes and gateaux. Baked in house at our New Lambton Patisserie, we are sure you will find a cake for any occasion whether it be a wedding, birthday celebration, or even just for afternoon tea. 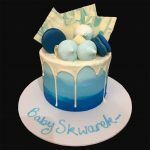 All of our cakes are available for order online or in store. Open for breakfast and lunch daily, the Euro has a wide selection of Cafe style foods, desserts and drinks that will make your mouth water. Try one of our freshly baked pastries for breakfast or a gourmet sandwich or wrap made fresh to order for lunch. Or just sit back and relax with a cup of our specialty blend coffee. All of our cafe menu items are available for order dine in or take away. 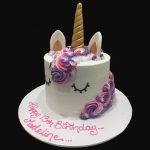 Not only do we have a large range of cakes and styles to choose from, we can make just about anything you can imagine. Whether you just want to change up one of our existing styles or have your own outlandish idea we can make it happen. Contact us online or in store for a free quote and follow us on Facebook to see some of our latest creations. The Euro Patisserie and Cafe is located at 68 Orchardtown Road, New Lambton, NSW. We are Newcastle’s leading innovative patisserie creating desserts, gateaux and cakes for all special occasions including weddings, engagements, christening and commemorative birthdays. For over a decade, the Euro Patisserie and Cafe has been producing quality patisserie lines made from scratch using fresh ingredients that include, fresh fruit, cream and eggs. Using traditional baking methods, we take that extra time to produce the finest quality products whilst incorporating the latest designs from Europe and the United States.